This is my favorite time of a set. The first weekend we can draft it in person, Standard is shaken up, new prices are flying left and right…and the old set is at its highest supply/lowest price. This week, I want to look at Guilds of Ravnica and figure out what I’m buying and what my timeframe is. Remember, GRN rotates out of Standard in roughly 21 months, so we’ve got some delightful targets that have a good while to hit it big. Before we get too deep, let’s look at my favorite recent example: Vraska’s Contempt. Forgive my MS Paint skillz. Yep, there was a time, right at Rivals of Ixalan being released, when you could buy this for about $6. Pretty soon after, people realized the card is super awesome and they should play a bunch. Teferi showed up not long after, and that shot the card up to $20 briefly. That brief window is right now. So what’s got Standard legs, and what am I buying for the long term? The nonfoils perked up a little when Afterlife was previewed, and it’s true that they play nicely together. What I really love is the long-term Commander implications for this card, and $13 is low for a card that is going to be soaked up by players and not be allowed to circulate. Look at it this way: at the time of this writing, there’s 38 foils on TCG. For comparison’s sake, there’s 70 foils of March of the Multitudes, 96 of Aurelia, but only 28 of Niv-Mizzet, Parun. Hmmmmm… yes, I’d pick that up too, though I’m less enthused. Visitation is a must-have for any white token commander, and Niv is difficult to cast even if he’s the general. There’s going to be a mostly-Izzet control deck at some point, and it’ll likely splash for Teferi, Hero of Dominaria. 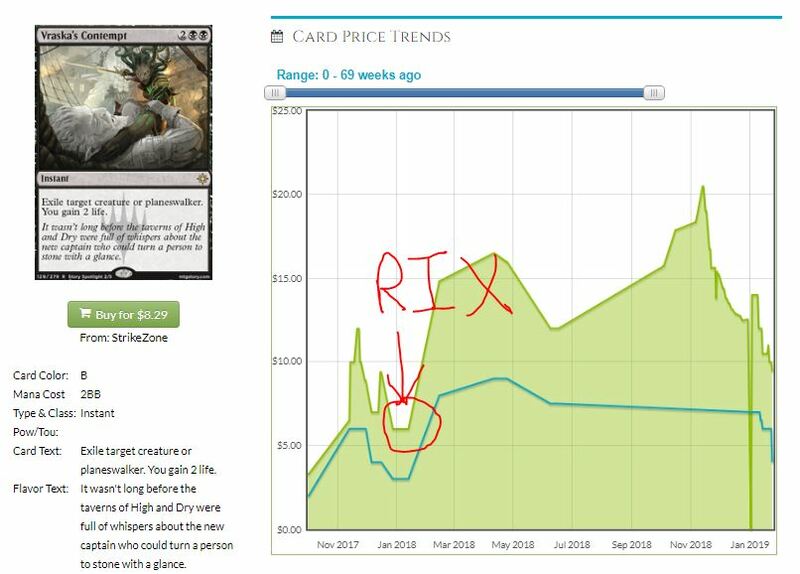 Maybe it’ll be Temur, splashing green for Wilderness Reclamation, but both these spells are at their low (EE has come back down from its brief time at $5) and they are going to get popular again before they rotate out. Both of these cards have a high casting cost, it’s true, but they are a class of card that will get better with every set of spells printed. 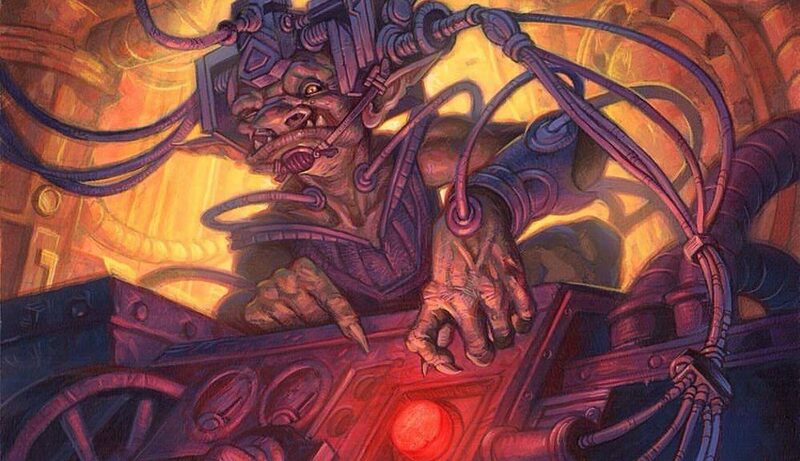 Birthing Pod was the same way; every creature printed gave that card a chance to be better, to be broken in new ways. These are two keystones, engines, whatever term you like to use. These aren’t going to light up Standard, but the time will come when they are going to be part of some disgusting turn in Modern and the foils zoom past $20. It’s too versatile, and I’m not just talking about the best-of-one craze sweeping Arena. Your worst case is that the card is a 4/3 for three mana. Lots and lots of people are going to try and break Wilderness Reclamation, and the GW decks are already running answers to that card at the same time they are running a 2/1 gain four life against the burn decks. There’s going to be a point where this card is everywhere. I don’t know when it’ll be, but I know it’ll be before September 2020 and you’ll want to have your copies ready to sell into the hype. A must-play in decks that are 3+ colors. 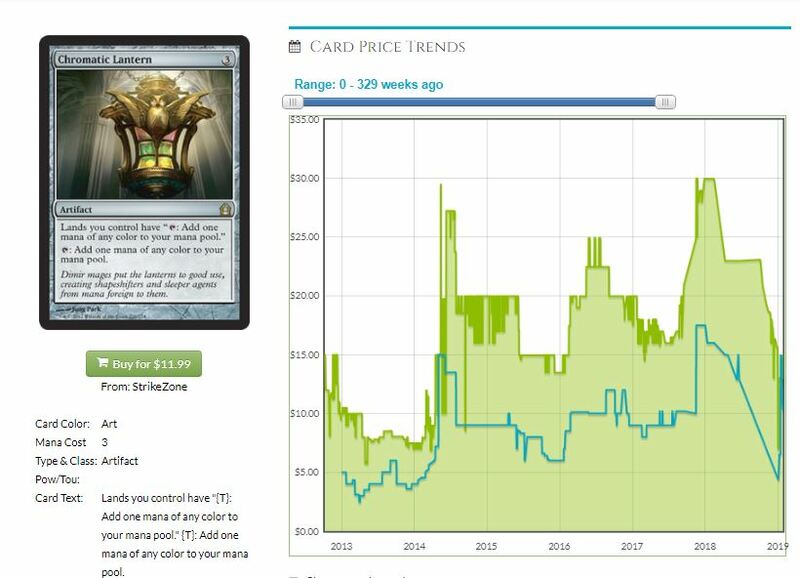 Three times since 2012 it’s hit $25, and let’s not overlook the Kaladesh Invention version that landed in September of 2016 and didn’t budge this price much. You should definitely be picking up all the personal copies you’ll need right now, before this rises to meet the RTR version. The Masterpiece means that it’ll never go too crazy, and we’ll get this in a Commander reprint before long, but get all you need and an extra few to trade away when it’s back at $20 in a year. If you like data, it’s the #15 artifact on EDHREC, with 56,000+ decks running it. There’s 150 foil copies between RTR and GRN on TCGPlayer right now. Make your move. I’m a huge fan of this card. No one is combining it with Browbeat in Modern, but it’s showing up in a range of Modern strategies, my favorite being the ‘Phoenix Deck Wins’ archetype that has put up some MTGO results and won a SCG Classic in December. I’m higher on the foils, but I’m also in for a couple playsets of nonfoils. I underestimated how good this card is, because it can be cast twice. I won’t underestimate what it can do for my wallet. This effect exists in a couple of forms, but they tend to cost more (Soul of the Harvest) or be conditional in some way (Beck/Call being two colors, Garruk’s Packleader & Elemental Bond for power 3+, and so on…) and this is even an Elf! The tribe most capable of having a long run of creatures off the top and finishing us all off! The other giveaway is that this card, unassuming and not really played anywhere yet, has only 50 copies in foil on TCG, between the pack foil and the prerelease foils. I hope you’re able to get some before they are gone.